Product prices and availability are accurate as of 2019-04-24 02:31:17 UTC and are subject to change. Any price and availability information displayed on http://www.amazon.com/ at the time of purchase will apply to the purchase of this product. 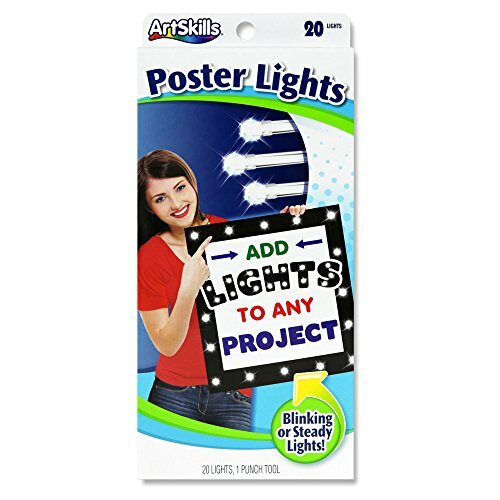 Light up the room with ArtSkills Poster Lights! There are so many fun and creative ways to use them in! 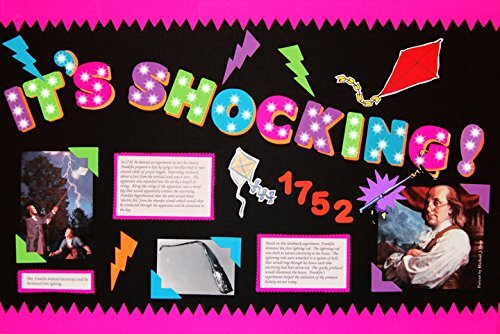 You can outline words, shapes or images, you can use them as a border, or just add a little sparkle around your poster! Each package includes one string of 20 lights, one punch tool, and easy step-by-step instructions so you can create a fun poster that will get you noticed! 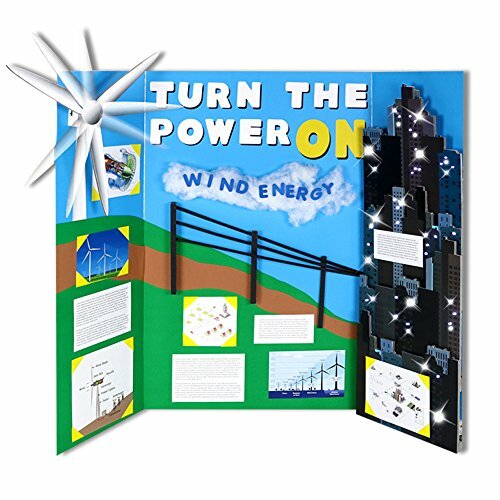 The poster lights can be set to flashing or steady mode, and can be reused for other posters and projects. 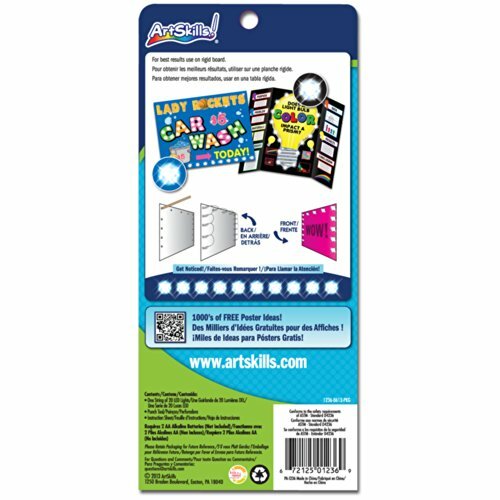 Great for school projects, posters, and arts and crafts activities! 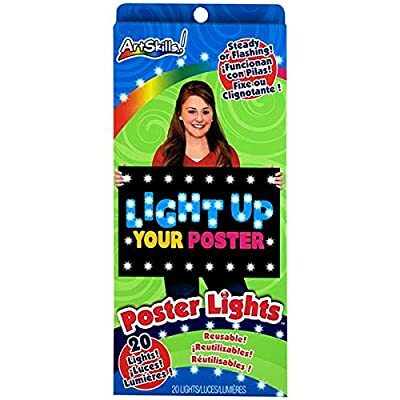 2 AA alkaline batteries are required (not included) and for best results, the poster lights should be used on foam poster board. For indoor use only.